Perfect for sensitive and challenging skins, Organix South's Ultimate Support Bar is a handcrafted soap that's packed with antioxidants. 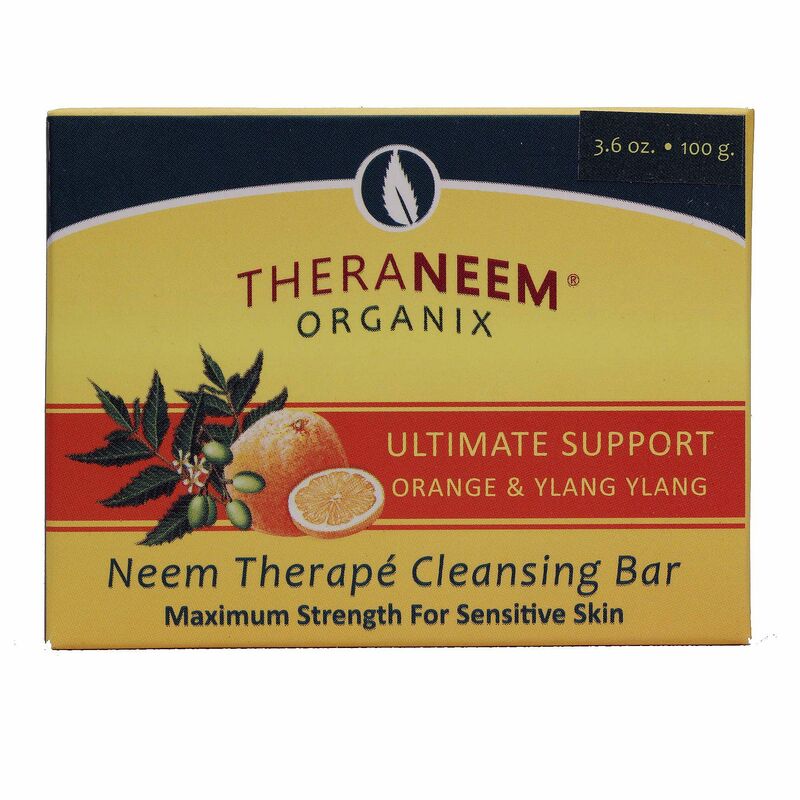 Neem is among the best sources of skin antioxidants, which is why the Ultimate Support Bar is made with 20 percent organic neem oil in every bar. It's made with a blend of olive, coconut and palm oils and contains shea butter, too. Scented with orange peel and ylang ylang oil, the Ultimate Support Bar supports younger looking skin and a clearer complexion. Order your Ultimate Support Bar by Organix South from eVitamins today and save! Ingredients: Olea Europaea (Olive) Fruit Oil, Cocos Nucifera (Coconut) Oil, Elaeis Guineensis (Palm) Oil, Azadirachta Indica (Neem) Seed Oil, Aqua/Water, Sodium Hydroxide, Butyrospermum Parkii (Shea Butter), Citrus Sinensis (Orange) Peel Oil, Cananga Odorata (Ylang Ylang) Flower Oil, Simmondsia Chinensis (Jojoba) Seed Oil, Rosmarinus Officinalis (Rosemary) Leaf Extract, Calendula Flower Petals.